When Dave Mustaine was diagnosed with radial neuropathy (strained nerves in his left arm and hand) in 2002, it almost meant the end of Megadeth after two decades of thrash metal. Megadeth's first years are deemed legendary with classic albums such as Rust In Peace and Countdown To Extinction. Then in 2004 Mustaine resurrected Megadeth and released The System Has Failed. A surprise return including Chris Poland on guitar whom Mustaine fired after the masterful Peace Sells album. This re-pairing makes the album even more ferocious than the good old fashioned Megadeth thrash is all about. 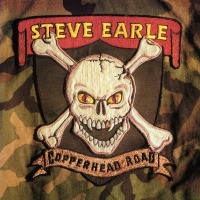 Steve Earle released Copperhead Road in 1988. Often referred to as Earle's first Rock record, Earle himself calls it the world's first blend of Heavy Metal and Bluegrass. Whatever you call it, the album introduces Country music's storytelling and three-chord structures to Rockabilly and contemporary Rock. The first half of the record contains mainly political tracks dealing with poverty, war veterans, the War on Drugs and former president Ronald Reagan whereas the second half is much more personal, containing slower tempo love songs. For the song "Johnny Come Lately" Earle is backed by The Pogues. 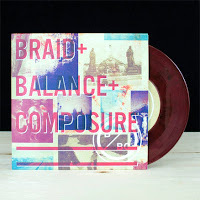 Our friends at No Sleep Records are releasing a brand new 7" featuring Braid along with rising alternative rock band Balance and Composure. The split features two exclusive tracks from each band and is available on a variety of limited edition colors. Our E-Store has the dark red vinyl (pictured above), which is limited to 700 copies. White vinyl in stores Feb. 26. 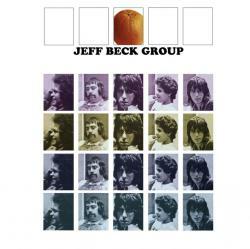 Jeff Beck Group - "the orange album"
Originally released in 1972, Jeff Beck Group was the fourth and final studio album for the legendary group. The band fully exploits the wildly unique instrumentation of Beck, a classical/jazz oriented pianist in Max Middleton, the soul/groove of Clive Chaman on bass, Cozy Powell's steady drumming and the expressive vocals of Bob Tench. This innovative music was way ahead of its time. The album features some of the most inspired lead playing of Beck's career. The mid-tempo guitar driven blues of "Ice Cream Cakes" is the perfect album opener.The irresistible groove of "Goin' Down" has good slide and lead playing. "Glad All Over" is one of his all time best songs with sharp leads and great piano lines. The funky and jazzy "Sugar Cane" flat-out rocks, and "Tonight I'll Be Staying Here With You" is a soulful Bob Dylan cover. Another cover, Don Nix's classic "Going Down" has nice vocals by Tench and Middleton's gospel-tinged intro is absolutely perfect. "Highways" is a slow blues song driven by Beck's amazing use of power chords and strange and exotic leads. Two instrumentals are featured on Jeff Beck Group, the quite lovely Ashford and Simpson tune, "I Can't Give Back The Love I Feel For You" and "Definitely Maybe," one of his Beck's known songs, features a beautiful slide guitar and an emotional melody line accompanied by gorgeous harmonies. The record was produced by Steve Cropper of Booker T & The M.G.'s. 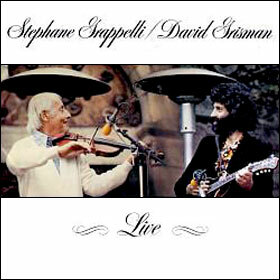 One of the most exciting of the many Stephane Grappelli recordings. In a sense this album represents a passing of the torch, as the greatest jazz violinist of all, the immortal Stephane Grappelli, bridges two generations of great acoustic jazz musicians - from his all-time classic 1930s recordings with the Hot Club of France (and a legendary partnership with the great guitarist Django Reinhardt - probably the most famous jazz partnership outside of the United States, and the most famous jazz string band in the world) to this remarkable recording with mandolinist David Grisman and his band featuring Mark O'Conner, Rob Wasserman, Tiny Moore and Mike Marshall Grappelli was incomparable in his Hot Club of France days, and he hadn't lost a beat by the time of this recording almost 50 years later. Grisman's music was greatly influenced by Reinhardt and Grappelli, and this album represents a kind of tribute to those great pioneers of acoustic swing music - but it's much more than just a nostalgic nod to the past. It's a historic recording in its own right, and the music is truly wonderful. 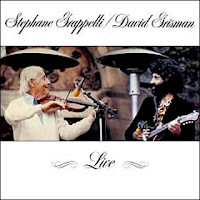 Grisman and Grappelli sound as if they'd been playing together for years, and the respect they have for each other is obvious throughout the entire set. It's not an exaggeration to say that Grappelli and Grisman are two of the very best and most innovative musicians (especially on acoustic string instruments) of the 20th century, and it's a real treat to get to hear them play together on this recording. They are absolute masters who have produced some of the finest, most beautiful, moving, virtuoso music on the planet. The tracks are "jazz greatest hits" like "Shine," "Tiger Rag," "Sweet Georgia Brown," "Satin Doll" and "Misty" with a medley of "King of the Gypsies" music. Essential music with more than its share of great solos, a blend of Bluegrass and Jazz, and one of few albums of its kind to make the Billboard charts. 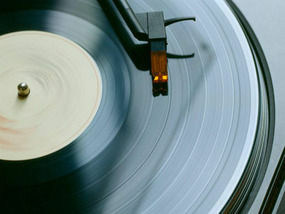 very well-written article and why we as collectors care about our beloved vinyl so much! Howling will be releasing their new effort called 'A Beast Conceived' later this month via Razorback Recordings.